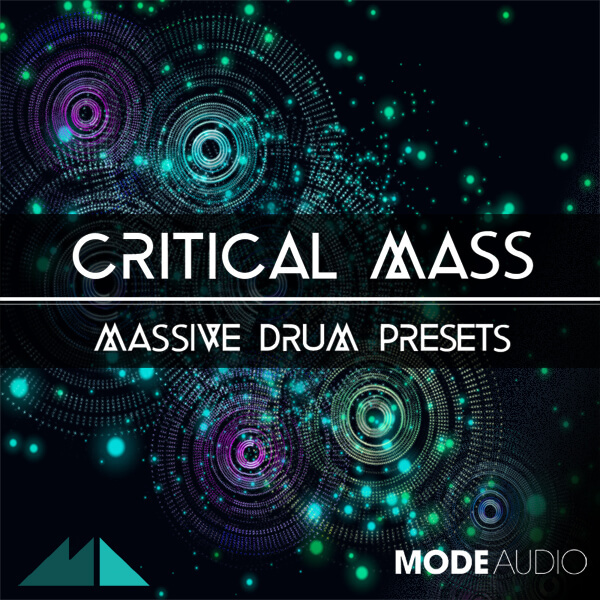 ‘Critical Mass’ sees ModeAudio transform your favourite bassline synth into your favourite drum machine. Massive’s deep, dangerous bass sound is put to explosive use in this set of 50 .nmsv drum presets, ranging from kicks, snares and claps to hi hats and cymbals. Unleash the beast – turn Massive into a thumping, stomping, roaring drum weapon! From earth-shattering kicks and snares to razor-sharp hi hats and claps, feast your ears and eyes on sounds you didn’t know Massive could make. Oscillators, filters, envelopes and waveshapers have been deployed for maximum percussive impact, offering you a drum presets pack full to the brim of crushing intensity. As always, ModeAudio have assigned all 8 macros for each preset so you can shape, cut and boost to get the sound just right. It’s time to take Massive to the next level – all the way to ‘Critical Mass’!